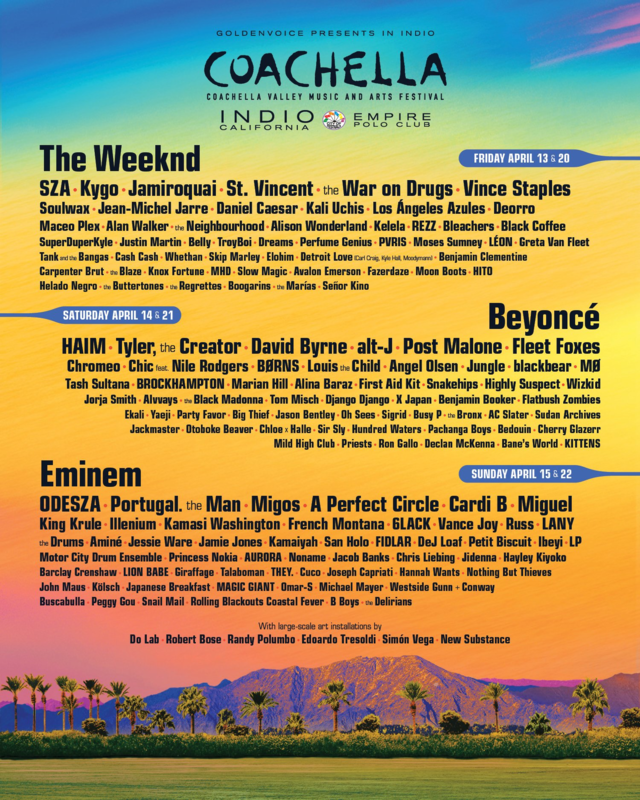 The lineup for Coachella 2018 was announced today, and included on the diverse lineup is A Perfect Circle. They join the Sunday list, which also includes Portugal The Man, ODESZA, Kasmai Washington, Vance Joy and some white rapper best not mentioned. Coachella takes place over two weekends in April.